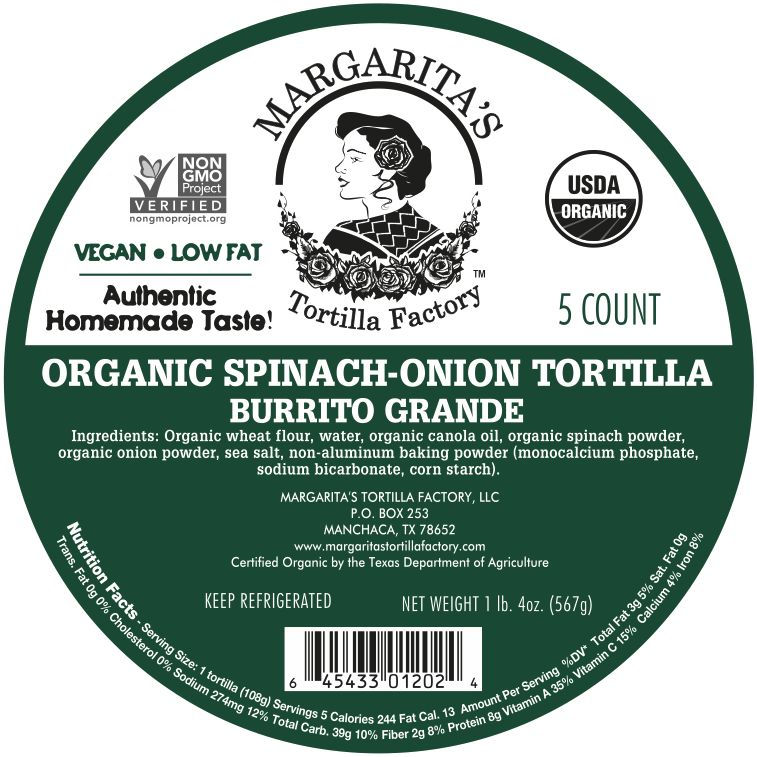 When you want to add a bit of freshness and interest to a huge burrito or wrap, our Spinach-Onion Tortillas will fit your bill perfectly. 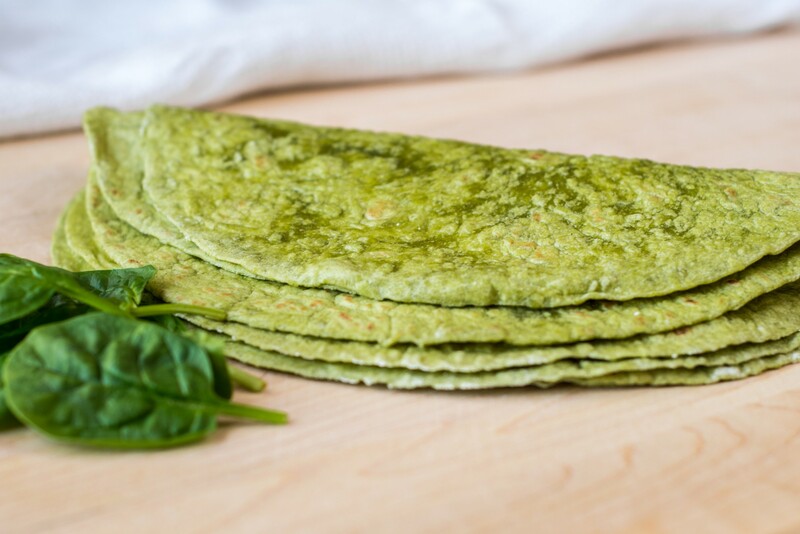 Made with real spinach and onions, their vibrant color is only outshone by their flavor. Organic wheat flour, water, organic canola oil, organic spinach powder, organic onion powder, sea salt, non-aluminum baking powder.